Where Paid Search Fits In The Marketing Mix. There is a lot of confusion and a host of myths about what Paid Search is for. ●	Some feel like good SEM will lead to good SEO (there is virtually no relationship). ●	Some feel like it will provide virtually unlimited growth to their business. ●	Some feel like it will be all they need. We will review some of these beliefs and try to set PPC in its proper context, and explain what we mean about fishing! Think of demand and interested users as fish and then the metaphor illustrates the difference between Paid Search and just about every other digital ad medium. Paid Search is you as an advertiser with a bunch of nets trawling through the Web’s ocean, catching demand (fish). You use different nets (keywords or match types, for instance) to catch different forms of demand. You target parts of the ocean where the right types of people/fish will be. But Paid Search does not cultivate the fish nor provide the environment for the fish to breed. Display, email and social advertising are the fish farm in this metaphor. They seed and feed the fish/demand and send them out into the open ocean for Paid Search to catch them. Offering a novel service? Maybe push YouTube and display ads to drive awareness that such a new thing exists. Launching a new company/new product/new product line? Perhaps drive your brand socially and through banner ads to stimulate searches and soften up people to search ads they’ll see later. Non-marketing efforts, like word-of-mouth and similar organic sources are the naturally occurring fish food floating about in the ocean. But the real impetus is given by the cultivation performed by the non-paid-search channels. ●	Is your site well-designed enough to drive visitors to convert at a good enough rate that you afford to pay for traffic? ●	Is your profit margin robust enough that a significant chunk of it can be used to attract traffic to the site? You wouldn’t spend a fortune on a Formula 1 car and not inflate the tires, so spending on PPC with a flawed site or business model makes no more sense than that. The consequences of have razor thin margins are very little ability to cope with any rise in CPCs due to competition or other influence, and very little scope to bid enough and so get you enough traffic to be worth it. If your site has a problem turning visitors into clients/customers, then any form of traffic buying is only going to bleed you dry. The flip side is that if these criteria are strong, you’re going to make a lot of money through well-run PPC! Furthermore, if you are a well-established online business and brand, SEM alone cannot get you a huge swathe of new customers because you’re already in position to profitably capture the existing demand (assuming a well-run campaign). This takes us back to the fishing metaphor. To address the supposition that Paid Search might be the only tool you need, you can see from the fishing concept that Paid Search really needs active marketing elsewhere to reach its full potential. There’s certainly demand out there, and it will be captured by PPC, but you will face a natural limit unless you supplement this channel with many other marketing and advertising initiatives. Even in these days of in-market audiences in search and Remarketing Lists for Search Ads (RLSA), ultimately, if there’s no demand, there’s no search your Paid Search ads will be triggered by. Don’t just take our word for it, cross-channel attribution tools like Wizaly and Adobe Marketing Cloud can prove to you that Paid Search is only a fragment (but an important one) of your total marketing mix that is responsible for your online sales. 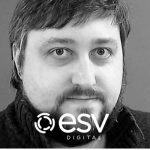 Steve Plimmer is the Head of Account Management US at ESV Digital. He is a driven and creative self-starter with 12 years of successful international PPC management, client acquisition and digital marketing strategy leadership experience. He achieved target-beating performance on large ($15m/year) and small marketing budgets by mixing data-driven decision-making with innovative strategic flourish. He is a critical thinker, who is passionate about leading the next generation of managers via mentoring, knowledge-sharing, and leading by example.